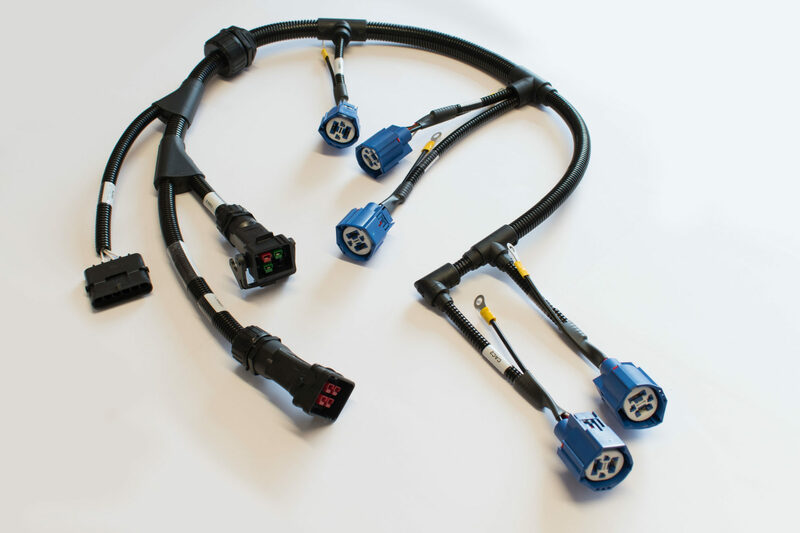 Our specialist wiring looms/harnesses range from simple switch control circuits to complex, multi circuit vehicle harnesses complete with sensor and proximity detection. Harnesses are fully tested using a combination of Cirris test equipment and bespoke test rigs for auto testing. Our engineering team is regularly involved at the development stage of manufacture with customers. This ensures that the most efficient method of manufacture is provided, coupled with the lowest necessary installation time for customer’s production. Identification can be printed directly onto the cables to provide a clear and permanent labelling.